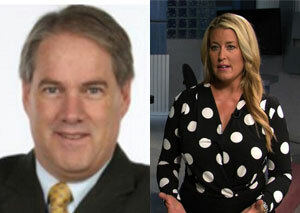 Tim James will join Alison Bailey as co-anchor of the midday run on News 1130 (CKWX-AM) Vancouver, starting next month. James has been with News 1130 since 2014 and was previously with Rogers’ sister station 660 News (CFFR-AM) Calgary. 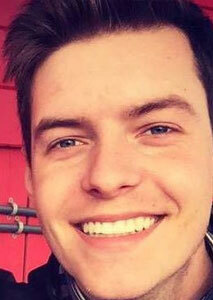 Peter Wagner moves into the managing editor, Weekends role at News 1130 (CKWX-AM) Vancouver, starting in September. Wagner, who has been an evening/weekend anchor with the station for the last year and a half, replaces John Ackermann who is taking over morning news co-anchor duties. Wagner was previously based in Bellingham, Washington providing news updates for KGMI News/Talk 790, 930 AM (KBAI-AM), and KAFE-FM 104.1. 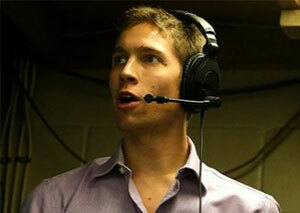 Toby Kerr joins News 1130 (CKWX-AM) Vancouver as an anchor/producer. Kerr arrives from Rogers’ sister station 680 News (CFTR-AM) Toronto, where he’s been anchoring news, traffic and sports. Kerr will be anchoring weekend evenings and producing the evening news Wednesday to Friday. Dave Barry, current news director at CKPG Prince George, will take over the same role at CFJC Kamloops, starting Oct. 15. Barry steps into the job being vacated by Doug Collins, who has held the position since 1971. As part of Collins’ transition out of management, Susan Edgell will take over as TV Operations manager and step away from hosting the Midday program. Tanya Cronin becomes the new host of Midday. Scott Turnbull has retired after 43 years on-air. 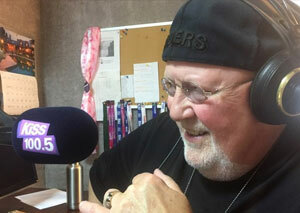 Turnbull worked his last shift Friday at KiSS 100.5 (CHAS-FM) Sault Ste. Marie. Known as ‘Bear,’ he started his career in 1975 in Dryden, then CKSO-FM Sudbury from 1976 until the early 80s, working his way through Leamington, North Bay and Thunder Bay before landing in Sault Ste. Marie in 1988. 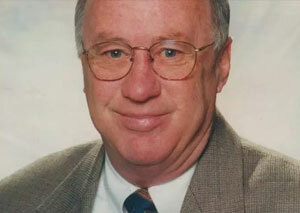 In addition to holding down the morning show, he was also the broadcast voice of the Soo Greyhounds for a decade, ending in 2005. 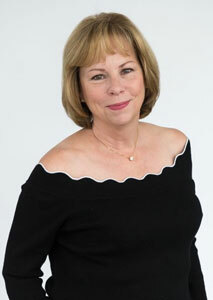 Turnbull had been absent from the KiSS morning show since November after developing heart problems. Shannon Ella has joined Today’s Country BX93 (CJBX-FM) London as the new midday host and iHeartRadio Canada contributor. Ella made her on-air debut during last weekend’s live broadcast from the Boots and Hearts Music Festival. Ella will also continue her role as host of Warner Music Canada’s Complete Country. 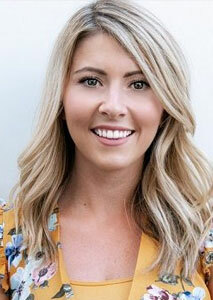 She was previously a fill-in host with Evanov’s Toronto stations Z103.5 (CIDC-FM) and 88.5 the Jewel (CKDX-FM). 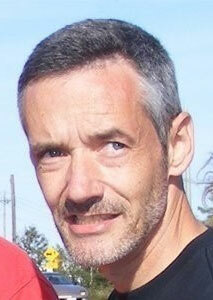 John Knox has left Rogers Fort McMurray after five years. 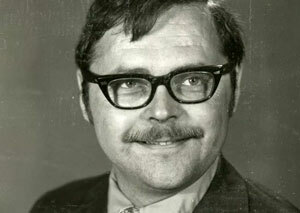 Knox was PD of Country 93.3 (CJOK-FM) and 97.9 Rock (CKYX-FM). 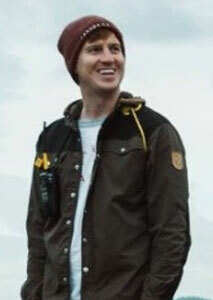 He was previously a PD and operations manager with Newcap Radio, based out of Fredericton. Saroja Coelho hosted Breakaway on CBC Radio One for the last time on Friday. The show is heard 4 – 6 p.m. weekday across Quebec, outside Montreal. Before becoming host of the show in 2016, Coelho worked for Deutsche Welle in Germany for eight years, holding positions from radio and television presenter to senior editor and producer. 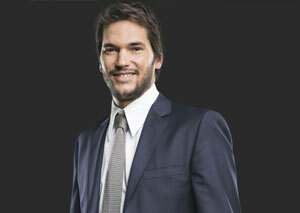 Stéphane Gendron’s contract with Energie 98.9 (CHIK-FM) Quebec City has not been renewed. Gendron had been with Bell Media since 2016. Simon Bourassa has been filling in. 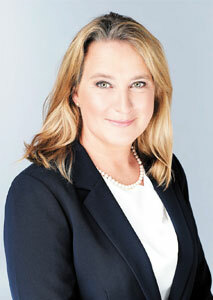 Michele Maheux will retire as the long-time executive director and chief operating officer of TIFF next summer. Maheux started with TIFF three decades ago in the press office. John Laberge, longtime editor at CTV Montreal, has announced he’s retiring in October. Laberge started his career in 1977 as a commercial producer at CJAD-AM Montreal, heading over to CFCF Radio and TV (now CTV) in 1981. 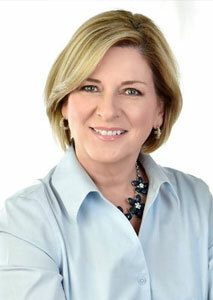 Carol Ann Meehan, former CTV Ottawa anchor, is running for city council in Nepean South Gloucester. She’ll be going up against incumbent Michael Qaqish. 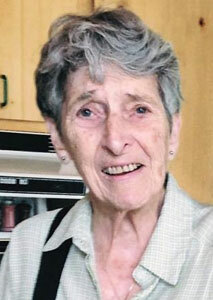 Meehan resigned from her afternoon radio gig at 1310 News (CIWW-AM) Ottawa last November. After 27 years, she was let go from CTV News Ottawa at the end of 2015. 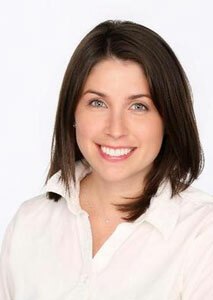 Jayme Poisson, who recently left the Toronto Star after eight years, is joining the CBC. The investigative reporter will host a daily news podcast that’s set to launch this fall. Emmanuelle Latraverse has returned to TVA as a political analyst. Latraverse recently left Radio-Canada after 13 years with the public broadcaster. She’ll be based in Ottawa and cover Parliament Hill, as well as provide analysis on Quebec politics. She began her career at TVA in the early 2000s. 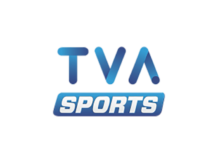 Montreal Canadiens alumni José Théodore and Mathieu Dandenault are out as commentators and analysts at TVA Sports. TVA says negotiations to renew Theodore’s contract didn’t succeed, while the channel chose not to renew with Dandenault. 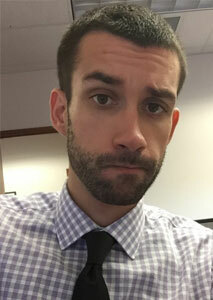 Theodore had been with the channel since 2014, Dandenault since 2012. 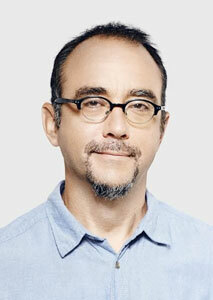 Mike Killeen will be filling in as a host on CKNW-AM Vancouver. The move marks a return to the station for Killeen, who started at CKNW as producer of the “Today at EXPO” feature back in 1986. 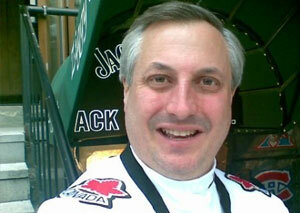 Killeen was a senior anchor with CTV Vancouver up until April, when he was caught up in layoffs at Bell Media. Jimmy Thomson, CBC Yellowknife VJ and deputy editor of non-profit investigative news site The Narwhal, is joining Montreal arts quarterly Maisonneuve as associate editor. 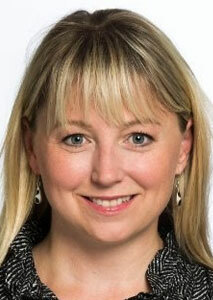 Jennifer Bidwell has joined Bell Media’s Astral as director of Digital out-of-home. Bidwell was previously a national account executive with Bell Media and most recently was working with media buying agency Media Experts. 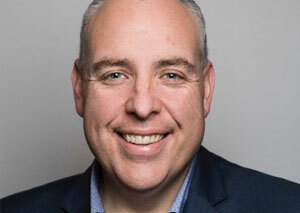 Steve Darling has announced he’s going to take another run at politics, this time for municipal council in the Vancouver suburb of Port Coquitlam, where he lives. Darling, who was a longtime anchor with Global Vancouver up until 2016, previously ran unsuccessfully for the BC Liberals in Burnaby-Lougheed in the 2017 provincial election. Darling currently works for business news site Proactive Investors. The Jim Pattison Broadcast Group (JPBG) is poised to acquire Fabmar Communications and its four radio station licences in B.C., Alberta and Saskatchewan. Subject to CRTC approval, Pattison would assume ownership and operation of 89.5 The Drive (CHWK-FM) Chilliwack, XM 105 FM (CIXM-FM) Whitecourt, and 105 CJVR-FM and CK750 (CKJH-AM) Melfort. 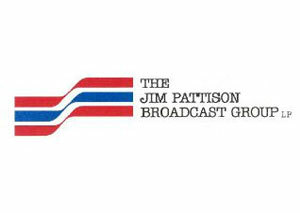 A press release says the current local management teams will continue to lead the stations, with all of the existing team members to be offered positions within the Jim Pattison Broadcast Group. As part of the terms of sale, Pattison has also agreed to purchase FabVision, an outdoor signage business in Saskatchewan and online news portals MyChilliwackNews.com, MyTownToday.ca and YourTownNews.ca, serving Chilliwack, Whitecourt and Melfort respectively. Read the full story here. 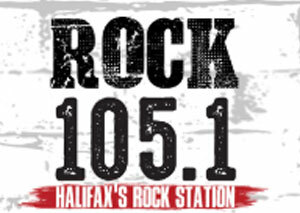 Evanov Radio’s Live 105 (CKHY-FM) Halifax has been rebranded to Rock 105.1. Program director J.D. 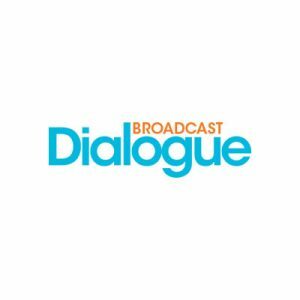 Desrosiers tells Broadcast Dialogue, the station is still Active Rock, but will shift away from playing current, alternative and push its playlist toward more Gold selections. 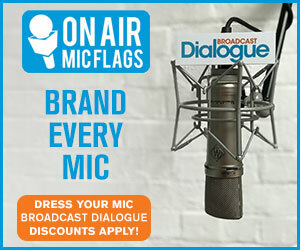 “We’re making ourselves more competitive in a very competitive market, targeting our main competition (Newcap-owned Q104), rather than carving out a niche which is what the station was doing in its previous incarnation,” says Desrosiers. “We thought a clean slate and a new look was in order.” The on-air lineup remains status quo, although with host Lindsay Cochrane moving on, the station is on the hunt for a new afternoon drive personality and will be adding some part-time staff. The CRTC has approved transmitter relocation and a power boost for the yet to launch Sher-E-Punjab Radio Broadcasting Inc. ethnic station at 600 AM in Vancouver. Sher-E Punjab requested the change as the land identified for the original transmission site has been sold and the new owner is not interested in leasing to the applicant. With the new site 24 kilometres east of the original location, the CRTC has agreed to increase daytime transmitter power from 10,000 to 50,000 watts and nighttime transmitter power from 10,000 to 20,000 watts. Sher-E Punjab is up against an operation deadline of Nov. 28, 2018. Vista Radio has surrendered its licence for Valley Country 1340 (CIVH-AM) Vanderhoof, BC, after its transmission tower was damaged by snow removal contractors and collapsed in March. It was deemed too expensive to repair. 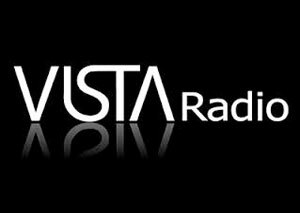 Vista has committed to increasing the level of local programming on CIRX-FM Vanderhoof from 3.5 to 126 hours per week. The CRTC has approved an application by United Christian Broadcasters Media Canada (UCB) to acquire Christian music station Kaos 91.1 (CKOS-FM) Fort McMurray from King’s Kids Promotions Outreach Ministries Inc. in exchange for assuming debt of $108,962. The commission is also waiving the requirement to pay tangible benefits, noting that CKOS-FM has suffered significant financial losses over an extended period of time. 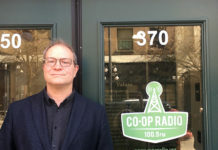 “Considering the fact that the Fort McMurray market has yet to recover from the 2016 wildfire and the limited commercial potential of CKOS-FM as a specialty (Christian music) FM radio station, imposing tangible benefits could have an adverse effect on UCB’s efforts to stabilize the station’s financial situation and increase the level of local and Canadian programming,” states the decision. Bell Media’s iHeartRadio Canada Podcast Network has expanded its reach, announcing its podcasts are now available to listeners on Spotify. Right now, the Top 10 Bell Media-produced podcasts from TSN and Much are streaming on the platform, including The Jay and and Dan Podcast, TSN Overdrive and Mike on Much, with additional content to be added in the coming months. TLN Media Group has acquired the Canadian rights for Serie A, Italy’s top division of soccer. The multi-year deal with IMG Media, the league’s international rights-holder, covers the 2018-19, 2019-20 and 2020-21 seasons. Under the agreement, TLN will be able to offer full coverage of the 380-match season, as well as weekly preview and review shows, highlights and goals-of-the-week shows. 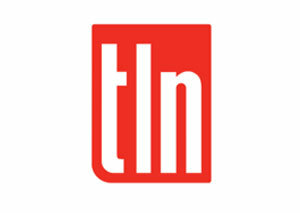 TLN plans to broadcast in multiple languages including English, Italian, Spanish and French. The season will kick off on Aug. 18 with live coverage of Cristiano Ronaldo’s debut match with his new club Juventus as they face Chievo Verona. DAZN Canada has partnered with Bell, Rogers, Shaw, SaskTel and several additional cable/satellite providers to distribute NFL Sunday Ticket across Canada this upcoming season. Telus will sublicence directly from Bell. DAZN has also secured a new three-year streaming deal for Serie A TIM, Italy’s top soccer league, and a three-year Canadian distribution agreement with World Boxing Super Series (WBSS). The professional boxing tournament, owned by Comosa, will make 15 fight nights available to fans in Canada and the U.S., exclusively on DAZN. nlogic says overall 26.5 million Canadians watched at least one minute of the 2018 FIFA World Cup. The most-watched game during the initial group phase was Germany vs. Sweden on Sat., June 23. 9.3 million Canadians (Ind 2+) watched the July 15 final, with Toronto achieving the highest reach (36.0). nlogic’s findings also indicate that nearly 40 per cent of Calgary teens watched the final. 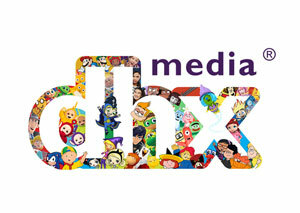 Cogeco Connexion has entered into an agreement with MediaKind (previously Ericsson Media Solutions) to offer its customers the MediaFirst next generation Internet protocol television (IPTV) platform in Canada. Offering customizable video content, wireless receivers, voice-activated controls, and access to Android Google Mobile Services, Cogeco says the service should be available to all of its customers by mid-2019. CBC and Netflix have renewed Anne With An E from Northwood Entertainment for a third season (10 x 60). Inspired by Lucy Maud Montgomery’s novel Anne of Green Gables, the renewal comes following the U.S. and international debut of Season 2 of the series on Netflix in July, and just ahead of the Canadian premiere of Season 2 on CBC on Sept. 23. The new season is expected to begin production this winter for launch on CBC and Netflix later in 2019. Cavendish, the new CBC original comedy series from comedians Mark Little (Mr. D) and Andrew Bush (Funny or Die), is shooting on location in Nova Scotia and in and around Cavendish, P.E.I. until the end of September. Season 1 is set to premiere in winter 2019 on CBC. The series follows the weird misadventures of bickering brothers, played by Bush and Little, who return to their hometown of Cavendish after 30 years to take care of their ailing father. Read more here. DHX Media and BBC Children’s Productions will be co-producing another 10 episodes of original kids’ live action series Creeped Out. CBBC in the UK and Family Channel in Canada have ordered Season 2 of the spooky series that combines sci-fi, horror, adventure, suspense, fantasy and mystery. Production will begin this summer, with the first five episodes to be shot in Toronto in mid-August, followed by five episodes to be filmed in North West England. Season 1, which premiered on CBBC last October and debuts on Family Channel this fall, has also been picked up by Netflix worldwide (excluding Canada and the UK) for streaming this October. Read more here. Telus says the Travelxp 4K HDR channel marks the first time a 24/7 HDR channel is available in Canada. Now available to Telus Optik TV customers in B.C. and Alberta, the global travel and lifestyle channel is available either On Demand or via channel 716. The 2018 iHeartRadio MMVAS have added Bebe Rexha, Brett Kissel, bulow, and The Beaches to this year’s list of performers, in addition to a throwback performance from 98 Degrees, who return to the MMVA stage for the first time in over a decade. Alexandra Shipp, Ashlee Simpson-Ross and Evan Ross (Ashlee and Evan); Chrissy Metz (This Is Us); Colton Haynes (Arrow); and Gus Kenworthy and Kristin Cavallari (Very Cavallari) have been added as presenters. ETALK reporter Tyrone Edwards is set to co-host the Aug. 26 event alongside previously announced host Awkwafina. 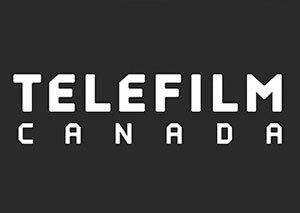 Telefilm Canada has received a 2018 Digital Transformation Award for its Information System Redesign project, developed jointly with the Canada Media Fund (CMF). 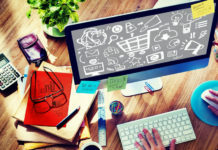 The redesign has helped simplify the business processes of both funding organizations, while maintaining efficiency and transparency for industry clients. The project culminated in the launch of the Dialogue online application platform. FilmL.A., the official film office of the Greater Los Angeles Region, says Canada was the number one production location for top-grossing feature films in 2017. Its annual Feature Film Study researches the top 100 feature films released at the U.S. domestic box office during the calendar year, looking at primary and secondary filming locations and post-production/VFX work, production spending and jobs. In 2017, Canada was the top location for 20 of the surveyed films, replacing Georgia which claimed the top spot in 2016. Within Canada, the top provinces hosting those films were British Columbia (11 films), Ontario (7), Quebec (1) and Manitoba (1). Read the full story here. VICE Media has announced a partnership with youth-geared financial services app STACK on a new platform that promises to bridge the gap between lifestyle and finances. FREE—MONEY BY VICE is an evolution of VICE’s MONEY section, which was launched in 2016 under the guise of making the financial landscape more digestible for millennials. It will feature stories on spending, saving and entrepreneurship, geared to a youth audience. 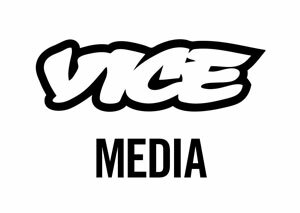 STACK will also be the title sponsor for Daily VICE, which will expand its editorial mandate to include a weekly money show. 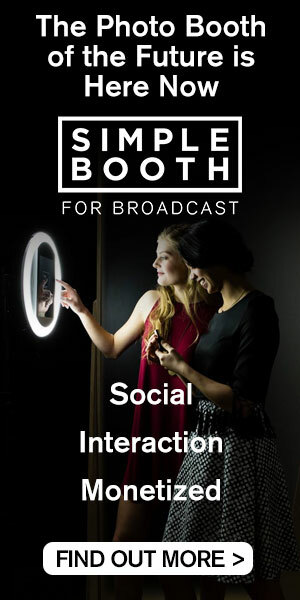 The Media Technology Monitor’s (MTM) latest report indicates 72 per cent of Canadian anglophones are now using an online social network at least once a month, with Facebook remaining the most popular social platform. According to the Social Networking Report, 67 per cent of anglophones surveyed said they had used Facebook in the last month, compared to 30 per cent who said the same about Instagram and 23 per cent who had used Twitter. The study found that most social network users estimated their internet usage at just over 28.5 hours a week. For users of the Reddit platform, typical usage went up to nearly 43 hours a week. Read more here. Research Co. polling finds that Canadians have not embraced the concept of paying for news and information online. An online survey finds just nine per cent of Canadians are currently paying subscribers of at least one online news source, a number that rises to 14 per cent among those 18-to-34. Three-in-ten Canadians (31 per cent) say they stop going to an online news source if there’s a limit on free articles and/or a paywall with Ontarians (52 per cent) the most likely to click away from paywalled sites. 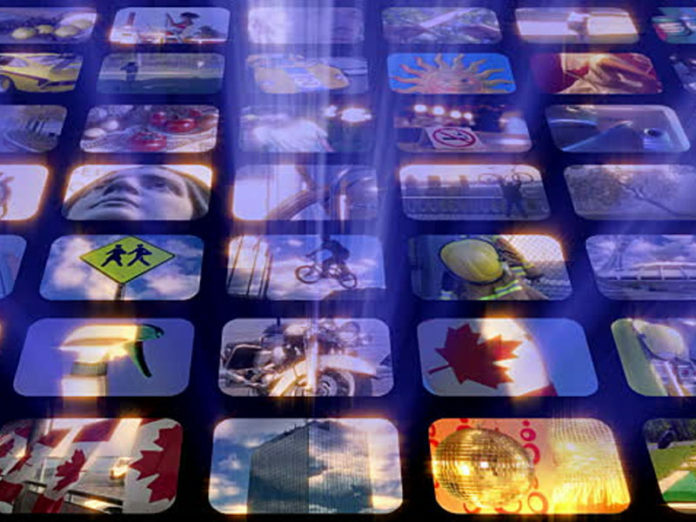 When it comes to radio and television, 41 per cent of Canadians say they get their news and information from local TV newscasts and news channels, while 26 per cent listen to local radio newscasts daily, and 11 per cent national radio news every day. Almost a third of Canadians (32 per cent) say they get news and information from Facebook on a daily basis. Radio-Canada, the French-language arm of the CBC, will test the federal Journalistic Sources Protection Act before the country’s highest court. 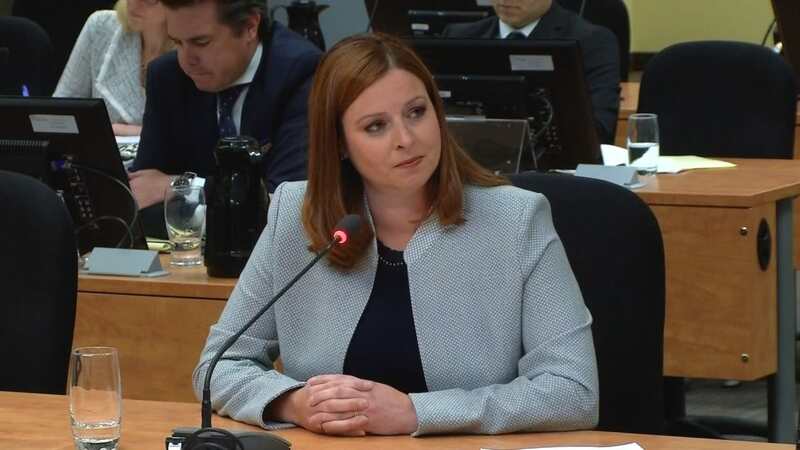 The Supreme Court of Canada (SCOC) has announced it will hear an appeal filed by Radio-Canada after investigative reporter Marie-Maude Denis was compelled to reveal anonymous sources in a Quebec Superior Court decision last March. The case stems from the political financing for public contracts trial of former Quebec cabinet minister and Roche VP Marc-Yvan Côté. A series of Mar. 2016 arrests by Quebec’s Unité permanente anticorruption (UPAC), followed the broadcast of two documentaries on the investigative program Enquête, that exposed ties between Quebec Liberal Party fundraising and the awarding of public contracts. Read the full story here. VOIS Inc., the Calgary-based IPTV service provider, has been fined $25,000 for failing to participate in the Commission for Complaints for Telecom-television Services (CCTS), in violation of the Telecommunications Act. The company was previously fined $15,000 in 2016. According to an Aug. 9 CRTC notice, the commission has not received response from VOIS or its director Harpreet Randhawa, who have until Sept. 10 to pay the fines. VOIS offers South Asian programming in Hindi, Punjabi, Bengali, Urdu and Gujurati, among other languages. 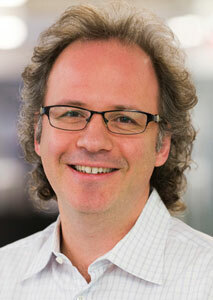 Michael Geist, University of Ottawa law professor and Canada Research Chair in Internet and E-commerce Law, has obtained more documents under access-to-information that indicate Bell lobbied post-secondary institutions to support the FairPlay Canada website-blocking coalition. Geist has published documents on his blog showing TSN senior VP Mark Milliere lobbied Charles Falzon, dean of Ryerson University’s Faculty of Communication and Design (FCAD), to support FairPlay. The coalition, comprised of roughly 25 media companies, wants the CRTC to establish an Independent Piracy Review Agency that would review and block websites engaged in content theft without a court order. Journalists for Human Rights (JHR) has opened the 2018 call for nominations for its annual Achievement In Human Rights Reporting Award. The Toronto-based non-profit is accepting nominations from around the world this year from journalists who have made a significant contribution to human rights journalism. Last year, the award went to the Toronto Star’s Sara Mojtehedzadeh for her reportage on workers’ rights in Ontario, which led to legislative changes and stronger oversight of laws governing the rights of temporary workers. Nominations are due Sept. 10. Find the form here. 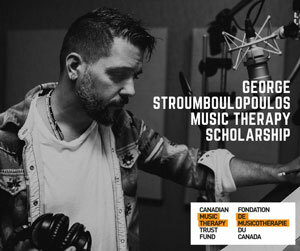 The Canadian Music Therapy Trust Fund has announced the creation of the George Stroumboulopoulos Scholarship. The scholarship will be offered to Canadian music therapy students to help them complete their studies and internship hours. Applications open this September. James Cridland will return to the Ontario Association of Broadcasters (OAB) annual conference in Toronto on Nov. 8. The “radio futurologist’s” keynote “How Can We Safeguard the Future of Radio?” will explore changing listener expectations. Registration is now open. Momentum Media Networks is making the Ariana Grande “Sweetener” Album Preview Party available to all Canadian CHR stations at no charge. The exclusive two-hour special, hosted by Zach Sang, includes the new album in its entirety and features one-on-one conversation with Ariana and special guests. The preview is available to air this weekend Aug. 18/19. Contact Michael Olstrom at michael@momentummediamarketing.com for details. 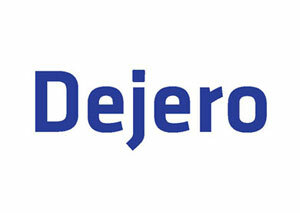 Dejero has partnered with FileCatalyst, a pioneer in managed file transfers, to enable broadcasters to send large amounts of media content and digital assets back to base at high speed while in the field. A combination of the Dejero GateWay mobile Internet connectivity solution and FileCatalyst Direct enables remote reporting teams to access their station’s media asset management (MAM) systems—to source b-roll or background video—to create fully packaged reports, news clips, and upload complete stories faster. The company says combining the two technologies adds value in that crews that can ultimately spend more time in the field and less time commuting between assignments.